Browsing Secure is the PUP that uses misleading techniques to prevent removal. Use Reimage to locate malicious components and get rid of them faster than with uninstall instructions. A full system scan blocks virus reappearance and prevents traffic to malicious domains. Browsing Secure is an adware application that stealthily gets into users' computers and performs various system changes in order to carry out its suspicious activities. Developers of the program claim that it is capable of enhancing browser performance, making the web browsing more secure, as well as protecting against phishing attacks. However, security experts claim that this potentially unwanted program delivers the intrusive advertisement based on users' browsing habits, collects various data and promotes other PUPs as legitimate software. Browsing Secure adware is simply not what it claims to be. Symptoms Intrusive ads, redirects to dubious sites, installation of additional components without permission, etc. Brought to you by Browsing Secure, etc. Some of the advertisements generated by Browsing Secure adware might lead to legitimate websites (for example, promote reputable security software), but oftentimes it will show dubious pop-ups that can lead to unsafe sites. This way, installing malware could be just a step away. Do not let that happen and remove Browsing Secure virus from your computer right now. 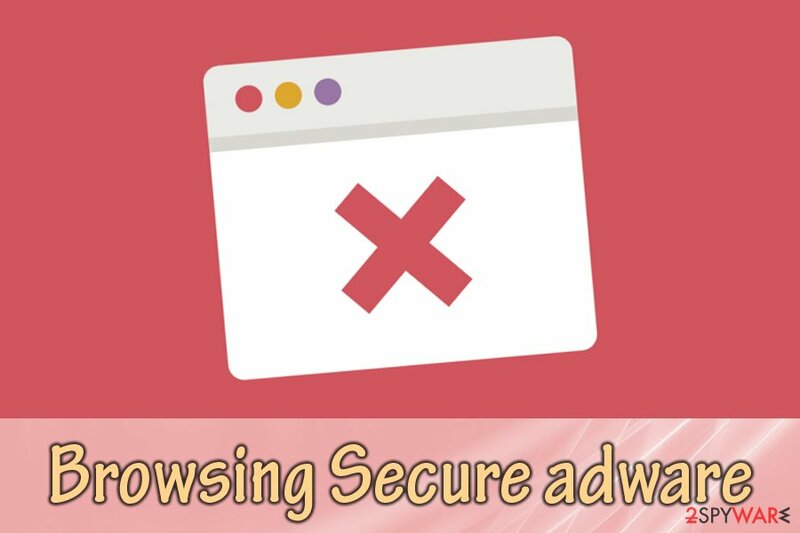 Just like any other advertising company, Browsing Secure adware gathers a significant amount of non-personally identifiable information, which includes, but is not limited to IP address, web search history, links clicked, bookmarks added, technical data of the device and similar. This helps Browsing Secure adware authors to create a virtual profile (an ID) of every person that has the application installed. What happens is, each time the person visits any websites, he or she will be introduced to ads that are close to his or her interests. For example, if you were interested in car parts, Browsing Secure adware will display those products that sponsors are selling. Unfortunately, some of the gathered data may even include personal information, like email address, name, address or even credit card details. Security researchers warn that users should never enter any credentials into dubious sites, as it can lead to identity fraud or money theft. To make matters even worse, Browsing Secure adware can inject the computer with additional dubious software, such as browser extensions, toolbars, system optimizers and similar useless programs. The bloatware will clutter the machine and make it work slower. Therefore, do not delay Browsing Secure adware removal, as it is crucial for virtual safety and computer security. To make sure that all potentially unwanted apps are eliminated, use Reimage. Potentially unwanted programs may settle down on your PC's system without even being noticed, as they spread with the help of freeware and shareware. An inattentive installation may cause infiltration of a whole pack of PUPs. If you want to prevent this from happening, you should always check Advanced/Custom settings because it's the only way to see what optional components your selected freeware carries and the only possibility to opt out of them. You should also make sure you download software from secure sources. For example, dubious file sharing websites often contain malware that can be disguised as a legitimate application. Therefore, refrain yourself from visiting such domains. Additionally, do not get tricked by various ads to install scareware or other similar programs on your machines – always question things and do some research. Users are quite unhappy with Browsing Secure adware removal results, as the suspicious app seems to be coming back. This usually happens if you pick a manual elimination method. Nevertheless, some users succeeded and had no problems with it whatsoever. Therefore, if you decide to get rid of Browsing Secure virus by yourself, make sure you follow our guide below. However, we highly recommend you scan your machine with reputable security software. As we already mentioned, the dubious app may have installed additional components onto your system which you might not be aware of. Thus, to remove Browsing Secure adware safely, use one of the below-mentioned programs – you won't have to worry about anything. Here, look for Browsing Secure or any other recently installed suspicious programs. Wait until you see Applications folder and look for Browsing Secure or any other suspicious programs on it. Now right click on every of such entries and select Move to Trash. When in the new window, check Delete personal settings and select Reset again to complete Browsing Secure removal. Once these steps are finished, Browsing Secure should be removed from your Microsoft Edge browser. Here, select Browsing Secure and other questionable plugins. Click Remove to delete these entries. Now you will see Reset Firefox to its default state message with Reset Firefox button. Click this button for several times and complete Browsing Secure removal. Here, select Browsing Secure and other malicious plugins and select trash icon to delete these entries. Click Reset to confirm this action and complete Browsing Secure removal. Here, select Extensions and look for Browsing Secure or other suspicious entries. Click on the Uninstall button to get rid each of them. Now you will see a detailed dialog window filled with reset options. All of those options are usually checked, but you can specify which of them you want to reset. Click the Reset button to complete Browsing Secure removal process. ^ Jonathan Lemonnier. What Is Adware and How to Get Rid of It?. AVG. Security team. ^ LosVirus. LosVirus. 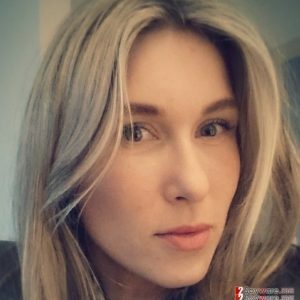 Cybersecurity website. This entry was posted on 2018-07-26 at 05:30 and is filed under Adware, Viruses. You can quickly scan the QR code with your mobile device and have Browsing Secure adware manual removal instructions right in your pocket. How did you remove Browsing Secure adware?